In recognition of recent successes in finding and confiscating drugs and guns in the Port of Spain Division, police have been given monetary rewards for their efforts. 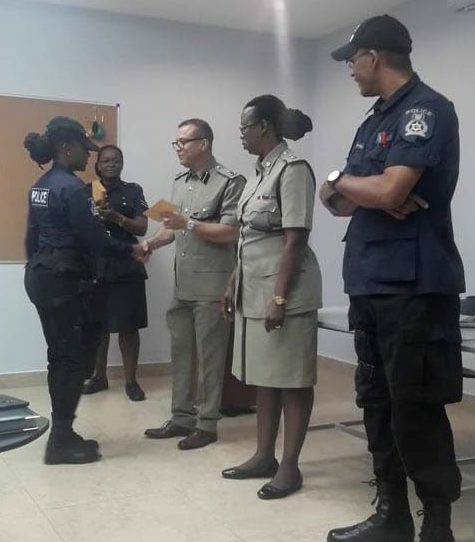 A brief ceremony was held at the Besson Street Police Station Conference Room yesterday in which ACPs Irwin Hackshaw and Floris Hodge-Griffith issued rewards and citations to 24 officers from the division. In his remarks Hackshaw stressed the importance of putting more effort into the fight against crime in the division and praised the officers for their hard work and dedication. The reward ceremony sought to boost the morale of officers in the division after the seizure of several high-powered weapons at the home of an east Port of Spain couple last week. Reply to "PoS cops rewarded for drug and gun seizures"